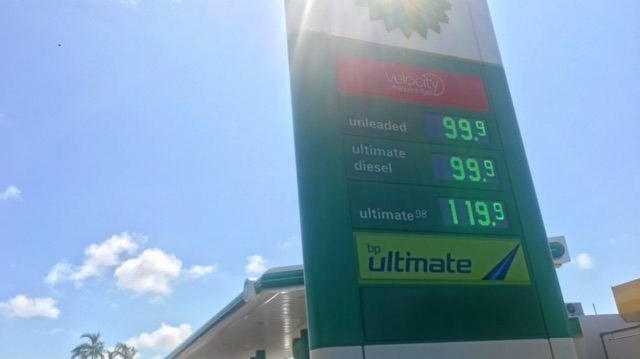 AN ANDERGROVE service station is offering motorists 99.9 cents a litre on unleaded and diesel fuels - for a limited time. The line up of cars has stretched for about 200m as motorist take advantage. Staff at the station are directing traffic because of the volume of motorists looking to fill up at a bargain price. There is a staff member at every bowser as well as several directing traffic to get as many people through as possible. Motorist Demi Streidl was waiting in line of traffic for fuel. "One of my friends told me (about the price)," she said. Sharon Lett said the deal was great despite waiting 20 minutes to fill up. While the staff at the service station refused to comment on the discount, people were commenting that the special price will end at 6pm.